Smartphones have long since replaced the PC as the center of our digital life – all the more surprising that many mobile phone users pay little attention to the important subject of data protection. Huawei also knows this, which is why the manufacturer has developed a new accessory for the Mate-20 series, which should make backups particularly comfortable. Huawei’s backup accessory is connected to the Mate 20 (Pro) via USB-C cable (Source: Vmall / Huawei). Externally, the device evokes memories of the Google Home Mini or wireless charging station and is covered with a waterproof fabric cover. 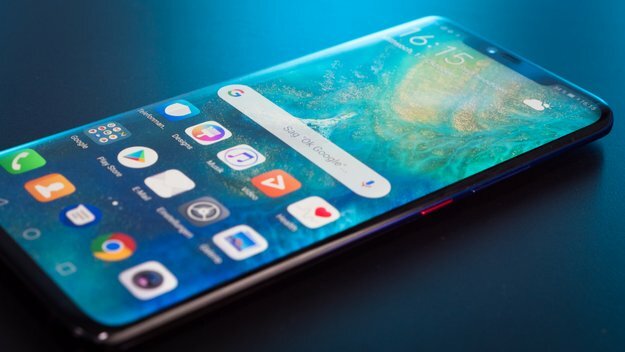 For backup, users do not have to put Their Huawei Mate 20 , Mate 20 Pro or Mate 20 Lite on the accessories, but connect them via USB C. Then, to gemäß Huawei, documents, photos and videos are to be backed up completely Call automatically and without any additional app . That may be more: Huawei’s innovative backup solution offers a total of 1 TB of storage space. So far, the backup accessory is only available for the Mate-20 series. Huawei has announced, however, to support more smartphones of the group. Huawei is silent about exact transmission rates during the backup. According to the manufacturer, the backup should be done quickly. As an example, Huawei speaks of 10 high-resolution photos, whose backup should last only one second. In addition to data backup, connected smartphones are also charged. Too bad: Support for Huawei’s new quick-charge technology, introduced with the Mate 20 (Pro) , does not seem to go with the accessory. Today’s October 26, Huawei’s backup solution is expected to hit the Chinese market. A selling price has not yet been communicated. Whether and when the device is outside China on the market, is not known. But it would be appreciated anyway.